Other than the cute packaging and styling, what makes me so giddy about this pudding is the healthy and stealthy snack factor. How so? 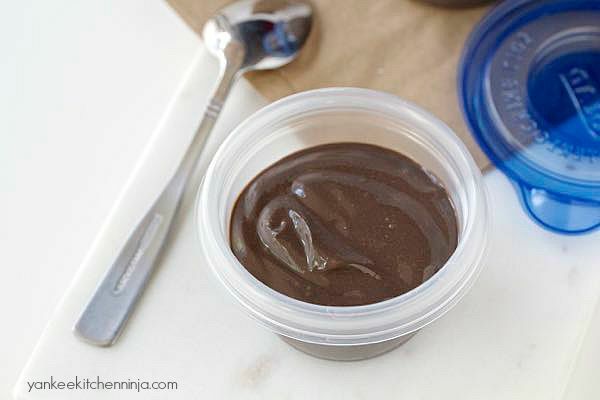 This healthy chocolate pudding is smooth, creamy, chocolatey -- all thanks to silken tofu! Squeeeeee! There's tons of yummy protein from the tofu hidden inside this amazingly yummy snack that's also sweetened only with honey. Moreover, there are only five ingredients total (tofu, honey, unsweetened cocoa powder, vanilla and a pinch of salt) and it only takes five minutes to make (just whirl it all up in a food processor). OMG, yes -- five minutes! You could jump out of your chair right now, go make this pudding and be back in your chair in five minutes. And, if you don't pack your or someone else's lunch or if you eschew plastic containers in favor of glass, don't worry. 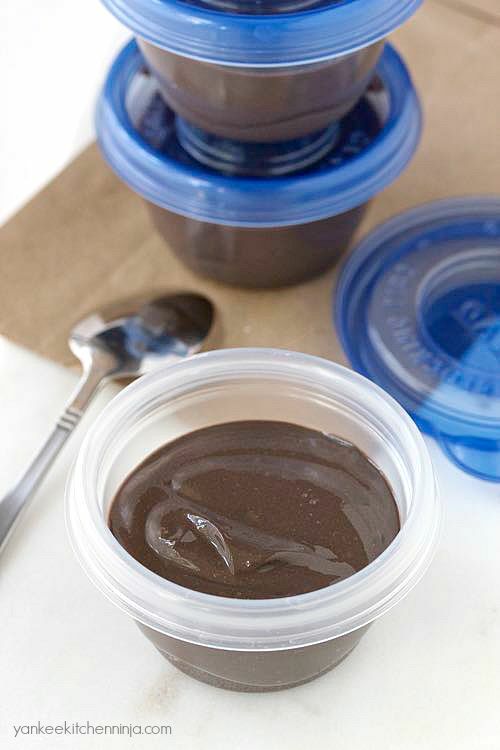 This five-minute healthy chocolate pudding is for you, too. Look: you get your very own photo of the pudding in its classy adult incarnation, so you don't feel like you're eating your kid's Jello pudding cup. Do you brownbag your work lunch or send your family off with their own sack lunches? 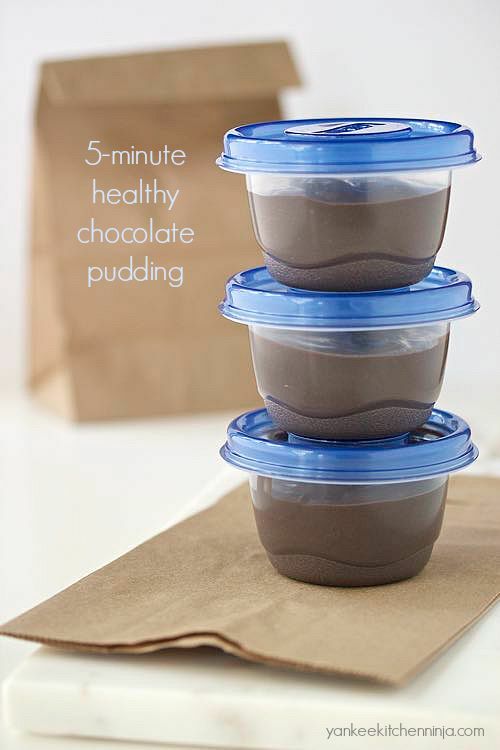 Are you completely jazzed to tuck a healthy chocolate pudding cup into the bag this week? Leave a comment: The Ninj wants to know. I used dark chocolate cocoa powder for the pudding in these photos; regular, lighter cocoa powder works just as well if you prefer it. Add all the ingredients to a food processor and process until smooth. Spoon the pudding into 4-ounce containers, cover and chill. 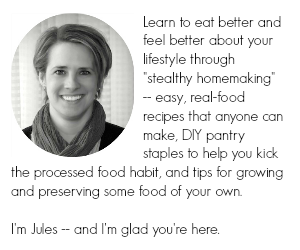 Love the five minutes and the healthy, Jules! Looks delicious and easy. Just finished packing lunches, my kids would've loved this in their lunches today. 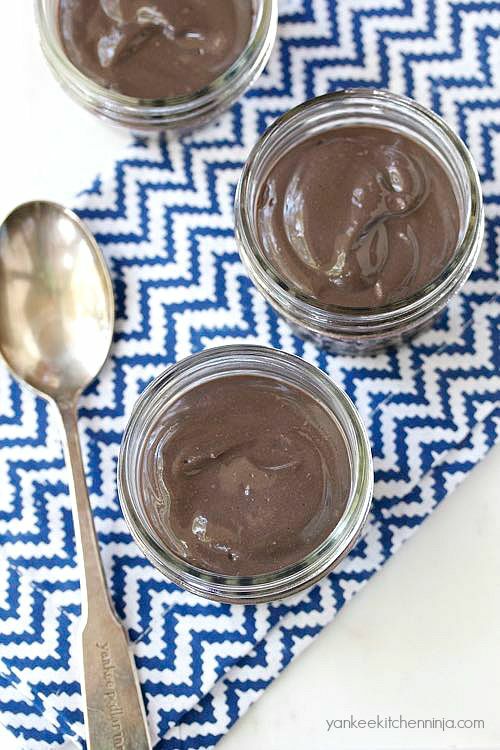 I love everything about these: 5-minute, healthy, chocolate, pudding! Sorry to say, but I think the pumpkins in my garden are already ripe. Bring on the pumpkin hoo-ha. OK, you get special dispensation then. :-) You can get your hooha started by following the "pumpkin" link in the second sentence -- last year's pumpkin recipe roundup. OMG...the child LOVES these and will heartily endorse this recipe! Because I am a darker chocolate fan, I am going to get some of the "special dark" cocoa from Hershey...yum! Fantastic, Bunny!! And it's a treat you can feel good about giving to her. And definitely try the special dark -- it's what I used in the photos above. Sooooo, how do you think this would dehydrate in a dehydrator? I'm wondering if it would work like those little dried yogurt drops you can buy at the store from Gerber? Oh, wow, I have NO idea -- but why not try it? And then let me know how it turns out. Sounds like a yummy idea! This is a family favorite now! and I'm the only plant-based eating member (unfortunately).